This Coffee is the "Best of the Best". Often, the coffee connoisseur is asked, "What is the best coffee in the world?" Almost unequivocally the answer is… "The one I roast in my kitchen." However, when pressed to name a commercially available bean the answer is more often than not, a Hawaiian Coffee. This is quite a remarkable achievement considering that the coffee plant was not introduced to Hawaii until 1825, almost a thousand years after commercial cultivation began in other, older, growing regions of the world. Hawaiian Coffee growers have benefited from many centuries of trial and error without ever having pruned a branch, you could say that the coffee gods saved the best for last. 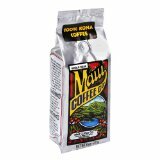 According to Hawaiian Coffee History humans first set foot on Hawaiian soil around 600 A.D. The same time that a goat herder in Ethiopia was observing his goats odd, excited behavior after eating a strange cherry-like berry from a curious bush. Intrigued by their enthusiasm, the shepherd picked a basketful for himself but upon tasting the bitter fruit the shepherd tossed the entire basket into the fire in disgust. As the fire burned away the husks of the berry and the seed, or bean, began to roast and crackle a very enticing aroma was released and the peasant herder had another idea, to infuse the roasted beans with boiling water. What was born was the world’s most popular beverage for a millennium to come. Imagine taking a highly refined strain of the prized coffee Arabica and transplanting it in a place that had absolutely perfect conditions that were as of yet unknown to the world. The result would be an even more evolved, more refined strain of what was already the best in the world. 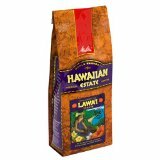 Hawaiian Coffee soon became known for its superb, rich, high-toned acidity; fruit nuance; medium to full body and complex aroma according to Hawaiian Coffee History. The Kona coast on the Big Island of Hawaii has been described as the Napa Valley of the coffee world. 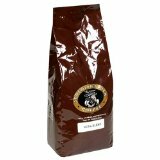 Kona grown Hawaiian Coffee more resembles the finest Latin American coffees than that of other Pacific regions. Much like the Napa Valley surprised the wine world when it started producing world-class wines; Hawaii continues to surpass the expectations of connoisseurs around the world with clean, crisp, perfectly balanced Hawaiian Coffees. While coffee might not be the beverage of choice while relaxing on a beach in paradise, a cup of Hawaiian Coffee and a little imagination might just help ease the tension of a hectic day. While transporting you, at least temporarily, to a place where life is much slower and your biggest problem is deciding what color of tiny-umbrella to put in your other favorite beverage. So concludes this summary of Hawaiian Coffee History.